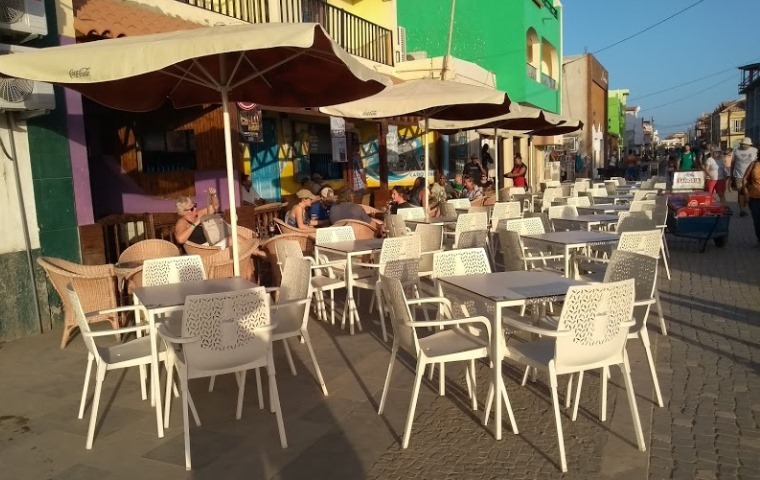 If your visa has run out you may have to pay a fine when renewing it at the Police Station in Espargos on Sal, main Police Stations on other islands or the Border Police in Praia, Santiago.... the current fine is 125euros (it may be more if not renewed for several months). If you don't have a visa when leaving the country and you've exceeded the 30 days, it's possible you will be fined at the airport,again, the amount will depend on how long you have stayed in the country without a visa. Visa's are currently available for 1, 3, 6 or 12months. However, if you intend staying longer on the island, the first time you apply to extend your visa will probably be for 3 months. The next time you apply, you may be lucky to get a 6 month visa, but not always, they may re-issue you with another 3 month visa. If you leave CV during the visa period, you will have to start again on re-entry. Those wishing to extend their visa for a month can do so you may be asked to provide an outbound flight ticket. In 2009........ I was able to obtain a 12 month Multi Entry visa here on Sal via the Police Station in Espagos, with this I have to leave Cape Verde every 90 days. While in Praia, I obtained a 12month Residencia Visa which allowed me to come and go freely in and out of CV when I want during the 12 months, without restrictions. Both types of visa cost around 5000cve (46 euros). 10 yrs on, the situation has changed! - Your passport (should be a 10yr passport) which must be 6 months in date up to the date of planned departure OUT of Cape Verde! - Proof of a 6 month contract of rental of an apt/property OR ownership document signed at the Notary.....take the original but also a copy, see if they will accept the copy first as they will want to keep the document..... its best just to leave the copy with them, in case the original is lost. - Two recent passport sized photo's, they may only need one, but its best to be on the safe side. - If you are working on the island, then take a copy of your work licence (Model-110 or similar) which will show your NIF no. (Alternatively, you can pre-arrange your visa with Cape Verde Beaureu). NOTE: Keep your original documents and always keep copies of your vaccination, medical, passport and Criminal Records...... you may need them the next time you want to renew your visa. Some people who are employed by a company, also take with them an official letter headed document from their employer in Cape Verde, showing their employers contact details. The letter/document must be written in Portuguese. If you wish to take a letter with you confirming you have employment in Cape Verde with you to the Police Station, it should start with the name of the company, who confirm that you are employed by them and it should request a 'multiplas entrada' for you (your name) and on which island you work. It should provide details taken from your passport (Nationality & Passport no. ), the job role/position you hold within the company. It should also state how much you earn per month. The letter must be signed by the Director of the company and have been stamped with the company stamp over the Directors signature and be dated. At the Police Station, the Police may give you a medical slip which you will need to take to the hospital in Espargos, where you pay a fee and get a medical and the certificate...........you may be able to get this done before you go to the Police Station, if you know what to ask for at the hospital as it would save time! The certificate needs to be produced to the Police. The Doctor that performs the medical at the hospital in Espargos is there Monday - Friday between 3p.m. - 4p.m. If you want to call in, in person to the hospital, you should be there by 2.45p.m. and enter the hospital main entrance, turn left, then right, the reception Counter is down the end (it isn't the counter you see when you immediately enter the front entrance). Once you have all the documents the Police require and they are all correct, they will give you a form to fill out, you have to pay the Police a small fee for this. They will also tell you to take the completed form to the BCA bank to pay for your visa. Take the forms from the Bank back to the Police Station, they will check them and if all docuents and forms are correct tell you to return in 3-4 days to collect your passport and visa.It should cost you 2500cve to renew your 3 or 6 month visa (unless you have a fine to pay also). You could apply for a 12 month Multi Entry visa (Multiplas Entrada), but with this, you must leave Cape Verde to visit another country every 90 days (costs 4,800cve). Before travelling to Espargos and the Police Station, give yourself enough time in case you haven't got all the paperwork, as the Police Station Visa Office in Espargos closes between 12noon to 2.30p.m (ish). Also, its' best not to go there on a Friday afternoon, in case they are busy. The queue or delays at bank or mad dash back to Santa Maria to get something you have forgotton, can be frustating. PLEASE check your visa dates are correct before you leave the Police Station, they sometimes have the wrong date/yr etc, or you may think you have been given 6 months and they have only given you 3 months visa. Also ask for your copy documents back before you leave with your passport, you may get most of them back. Note: The info was written in 2008, since then another Expat has been able to obtain a Residencia Visa on Sal in 2013, the link to her experience will be found at the end of this information about Residenci Visa. This type of visa allows you to come and go in and out of Cape Verde as many times and when you want, there are no restrictions. It is renewable every 12months. The cost is 50.000cve (46euros) and 100cve (1 euro) for the application form. You need a letter from your employer, two passport size photos, and photocopies of the back and front pages of your passport as well as completing a visa application form. You can also apply for this visa if you are retired. 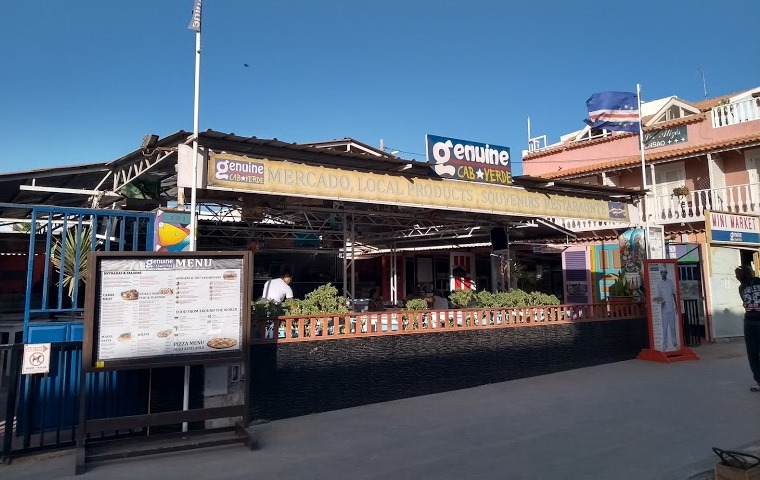 You can either fill in the application form by hand in the office at Praia and leave your passport, the company letter, passport photos and passport copies with them, or send it to them by post. I am not sure how the latter works if you post it, and how you pay the 50.000cve as I went to Praia and paid someone to help me get my application form processed and translate for me. This type of visa is only available in Praia via the Border Police, on the capital island of Santiago in Cape Verde. I am not sure whether you can obtain it from outside of Cape Verde at one of the other Cape Verdean Embassy's. For this type of visa, all you need to produce is an official letter headed document from your employer in Cape Verde, showing their contact details. You can either go to the Frontier (Border) Police Office in Praia in person and fill out the application form, but take someone with you that speaks Portuguese/Creole as they may ask you some questions. Make sure you write ' Residencia' or 'visto do residencia' on the application form next to where you have asked for 365 day visa (even if you have told them that's what you want) or you may end up with something else, like a Multi Entrada Visa. If doing this in person they will give you a form to make the payment of 50.000cve into the bank usually te BCA. You should make the payment a.s.a.p. You should be able to collect your passport which should have the official stamped and processed 'Residencia Visa' within 5 days, but just confirm this with them at the Frontier office, but there still may may be delays. NOTE: A residential visa is not the same thing as obtaining 'Residency'.